The CPhI Pharma Awards has announced the finalists and Origin Pharma’s child-resistant, tamper-evident, blister pack wallet SmartX has been selected for ‘Excellence in Pharma: Packaging’, making it a hat-trick of finalist nominations in 2017. It has been a successful year for the innovative cardboard design, which has seen the product being nominated for ‘Technical Design of the Year’ and ‘Best Cardboard Carton Design of the Year’, for the Luxury Packaging Awards and UK Packaging Awards respectively. SmartX has been recognised for its importance within the child-resistant packaging remit, which supports the notion of eradicating ingestions when it comes to blister packaging. The design also has a tamper-evident function, which drives the 2019 EU Directive that is coming into place in February 2019. 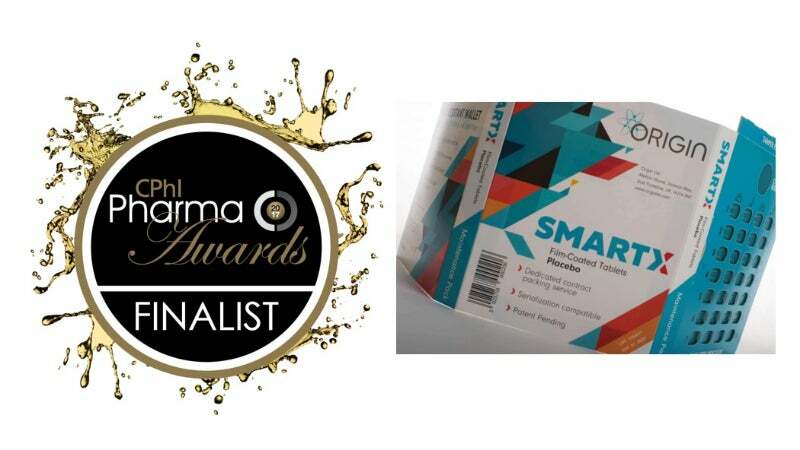 Head of marketing Rich Quelch could not hide his delight after finding out that Origin Pharma Packaging had been nominated for a third time in two months: "It absolutely amazing to be made a finalist for a third time. What makes it even more impressive is that it is for the same product, SmartX, and all in 2017." Rich goes onto explain how the hard work by the innovation team is beginning to pay off: "Our marketing team work very closely with the new product development (NPD) & Innovation team, as we developed the brand in tandem with the product being created. "We were confident that SmartX would be a success as we initiated an in-depth market research programme on the offering for child-resistant products for blister packs, on a global scale. "It is early stages, but we are very pleased with the attention from awards nominations, but more importantly gaining traction from interested, major pharmaceutical companies." Origin Pharma Packaging has an extensive NPD & Innovation programme and is set to showcase a brand-new child resistant innovation for blister packaging at CPhI Frankfurt in October – BLIS GUARD. Speech Code Produktsicherheits – Let your products talk!